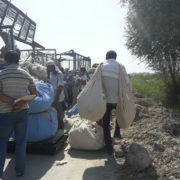 Since the beginning of the cotton harvest in Tashkent, the number of city bus routes has sharply decreased. There is pandemonium at bus stops, especially at rush hour. Buses which previously ran at intervals of between fifteen or twenty minutes are now running at intervals of up to an hour and a half. 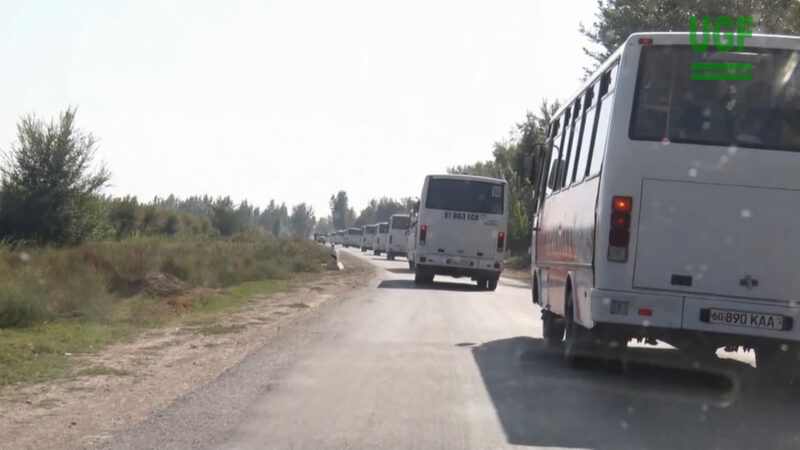 According to sources close to the Joint-stock company “Toshshahartranshizmat”, all 130 bus routes in the capital now operate 3-5 instead of 8-10 buses which are usually in operation on a standard schedule. 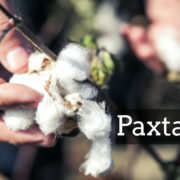 According to the driver, now, at the height of the cotton season, a similar situation has occurred in all ten city bus routes. Drivers have complained that “travel is chaotic and people are fighting amongst themselves”. Mobilisation of state employees and students for cotton this year started on 13th September. 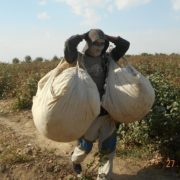 Despite repeated promises to the international community not to use forced labour in the cotton harvest, the authorities this year have taken students and public sector employees, including doctors and teachers to the fields. 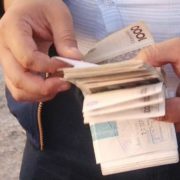 To avoid repressive punitive measures for refusing to participate in the harvest, many are forced to pay 450,000 – 800,000 som ($ 70 – $126) per person out of their own pockets if they wish to be replaced by hired workers. 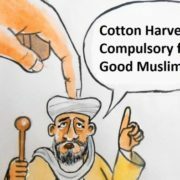 It should be noted that, at the Cotton Fair in 2013, the head of the government of Uzbekistan and now Acting President, Shavkat Mirziyoyev, said that in two to three years time 80 – 90 % of the “white gold” in the country would be harvested by machines. However, at the end of last year it became clear that only 5 % of the total crop was harvested by machines.